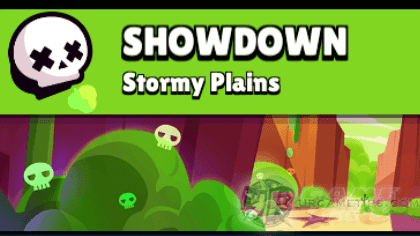 Here's some quick tips and guide on how to survive and win Brawl Star's Showdown event mode (Stormy Plains Map), in the fast-paced multiplayer online battle arena mobile game app for Android and iOS players. - Fairly located near the sides and corners of the map. - Boxes will randomly appear near spawn points, but most of them can be found at the center area, scattered within the maze like obstacles. Be careful when breaking boxes though because ambushes are somewhat common here especially those that are near the sides and corners of the map. - Those thick and wide bushes is a good spot for campers and ambushers early on, while the center area is full of maze like obstacles and bushes, lots of ideal places to set up ambush attacks! - Team-Ups: Team-ups are rampant here which would make the whole match so toxic that it is no longer ideal for solo players. Example: More than 2 Throwers teaming up together~lol. If this happens a lot, better avoid playing this map for now. - Getting 10th or 9th place here isn't common unless you are too aggressive and careless. Also, if you find your matches too long because of campers, try to play again after a couple of minutes to reshuffle competing players. - Yup, Any Brawlers will do as long that the conditions below are met. - No more than 3 Throwers teaming up. - You can decently dodge most attacks from Throwers (1 vs 1) and move away or close in gap, when needed (best done by fast moving Brawlers). - There are more aggressive Brawlers than campers, you don't want to camp for a long period of time just to end up below top 5 or worse. - If this happens a lot, stay away for a couple of minutes then play and check again. - Refer below for quick tips and strategies. - Best done during "Energy Drink" Special Event! - Examples: Shelly, Colt, Bull, El Primo, Leon, and similar Brawlers. - Depending on your spawn point and enemy movements, you might need to fight for Power Cubes early on, so using these guys can give you an edge. You can also try to ambush enemies that you can early on while inside those wide bushes. - Grab Power Cubes that you can but don't get greedy, always check nearby grasses while breaking boxes to avoid possible ambushes, sacrifice boxes if needed to safely move away. - Check enemy movements as well, this will help you track which areas are safe. - Once you are done getting Power Cubes, go back to the corners or sides and use those thick bushes for camping. Wait for the number of survivors to thin down then slowly move towards the maze like obstacles. You can also stay near the corners next to those poison clouds but be careful not to get trapped by enemies. - For melee type Brawlers, camp and wait for enemies to come closer then ambush them (best with low HP). - Move away safely while scouting bushes if there are Throwers or stronger Brawlers nearby, unless you can defeat or fend them off. - Once those poison clouds closes in, wait for opportunities like defeating low HP targets, or by attacking enemies that are being attacked. If it's too risky, maybe because your have low Lvl or Power Cubes, then just keep yourself till the end. - Examples: Darryl (best with Star Power), Mortis, and similar Brawlers. - Brawlers that can ambush Throwers without relying on charging Super using normal attacks. This map is full of Throwers, and if played right, these 2 can reach top 5 just by eliminating Throwers even against teamers. - Same strategy above, but focus more on squishy Brawlers like Throwers. - Examples: Shelly, Frank, Pam, Leon, and similar Brawlers. 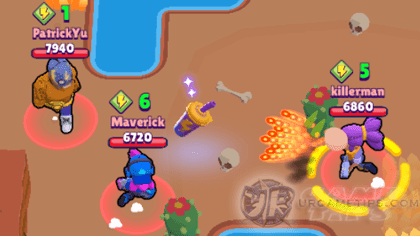 - Bull, Nita, Tara, Bo, Poco and other similar Brawlers are also ok if you can get a handful of Power Cubes to make your ranged attacks stronger. - The reason why I suggest these Brawlers is because the bushes around the center area can be easily scouted with spread attacks (nicely spaced out from obstacles too, eliminating covers). - More effective if there are few Throwers. If there are too many Throwers or team-ups, stay away and hide for now to let them defeat other Brawlers first. - Grab Power Cubes that you can and try to charge up your Super early on by harassing other Brawlers near those boxes. Either go straight near the center to grab those Power Cubes, or set up an ambush first by hiding inside those wide bushes (depends on spawn point, target Brawlers that are breaking boxes to decrease their DPS). - Check enemy movements, avoid getting sandwiched or trapped, transfer quickly to a not so crowded area if needed. - Map Control: Use your range to control the area you are in to force other Brawlers to move away and disrupt other campers or players. Ambush players to trap them, or attack and sandwich brawlers that are being attacked. - Defeat melee brawlers asap if possible because they might pose a threat later on, most of them will camp inside those patches of bushes. - Once those poison clouds closes in to the center, use those remaining obstacles and bushes to your advantage. Wait for opportunities like defeating low HP targets, or by attacking enemies that are being attacked. - Still be careful though and keep your distance because Throwers can still get ambushed and possibly chased by fast moving Brawlers because those obstacles aren't long or narrow enough. - Rico is also decent to use here because you can easily scout those bushes and harass other Brawlers, forcing them to move away. - Closing out matches with Rank #1 is kinda hard for this guys once you have a limited space to run, but they have a good chance of finishing top 5. - Energy Drinks will appear randomly across the map, even beyond those poison clouds. Grab them to gain the upper hand but still be careful though and don't rush into Brawlers that you can't defeat at melee range or to a location where you can be sandwiched. 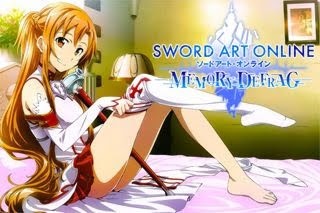 - Bonuses: Attack and Movement Speed (lasts for 10 seconds). - Can be used as an ambush tool, if it spawned near your location while hiding - grab and kill. - This is also good news for campers because matches will go faster! If it spawned near your location, you can try your luck and don't grab, to let them know that there are no one else around.